First World War 1914 presentation pack, containing a detailed carrier card. 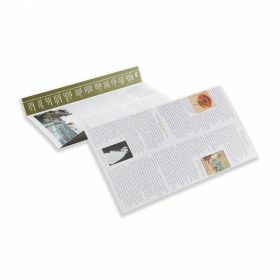 Designed to resemble a newspaper of the time, the First World War 1914 presentation pack explores the political and economic context in which the war began. From the assassination of Archduke Franz Ferdinand, to the end of 1914. 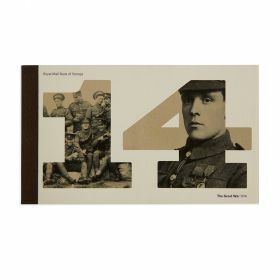 It includes all six First World War 1914 special stamps, with the descriptive carrier card and a portrait of Captain Francis Grenfell of the 9th Lancers, who won one of the first Victoria Crosses of the war in 1914. 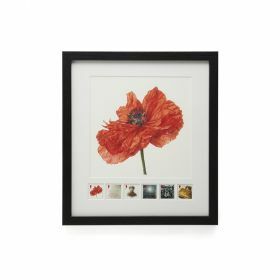 Written by Ian Kikuchi, a leading member of the team creating the new First World War gallery at the Imperial War Museum, the text highlights the global nature of the conflict. 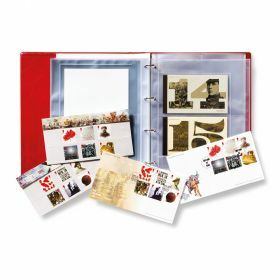 A carrier card offers a detailed description of each of the six stamp images. On 15 October 1914, Princess Mary launched her Christmas Gift Fund. In a public letter, she wrote, 'I want you now to help me send a Christmas present from the whole nation to every sailor afloat and every soldier at the front.' Her appeal raised over £162,000. On Christmas Day 1914, 426,724 gifts were distributed to British service personnel. Each included writing materials, a Christmas card, a photograph of the Princess and most contained tobacco and cigarettes, all enclosed in an embossed brass box. Many boxes survived, mementoes of the war's first Christmas.